You make noise on your guitar or bass, it gets processed in the iPhone and you listen on your headphones. The actual processing bit happens in the AmpliTube app(s) for iPhone and they seem to pack a lot of AmpliTube goodness into a relatively small iPhone. There are three versions. A free version will include one amp and cab model, two microphone choices and two stompboxes. More than enough for a little jamming on the move. An LE version adds a stompbox to the mix and costs €2.39 or $2.99. 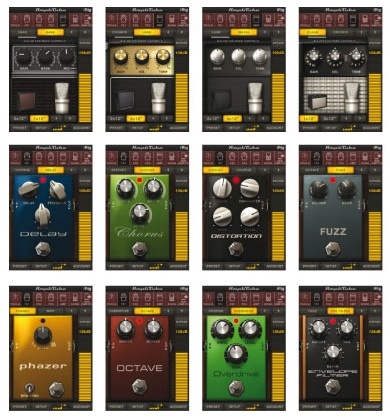 The free and LE versions allow in-app purchases of more gear with extra amps/cabs costing €3.99 ($4.99) and additional stomps costing €2.39 ($2.99). If adding-on isn’t your style, you can get yourself a fully-loaded version with 10 stompboxes, 5 amps/cabs and 2 microphones for €15.99 ($19.99). AmpliTube for iPhone allows you to import tracks and play along with them. You can save up to 36 presets and it comes with a tuner/metronome (in case you don’t already have four of them in other apps). 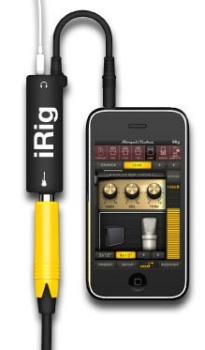 The iRig itself (the interface part) costs €29.99 ($39.99). 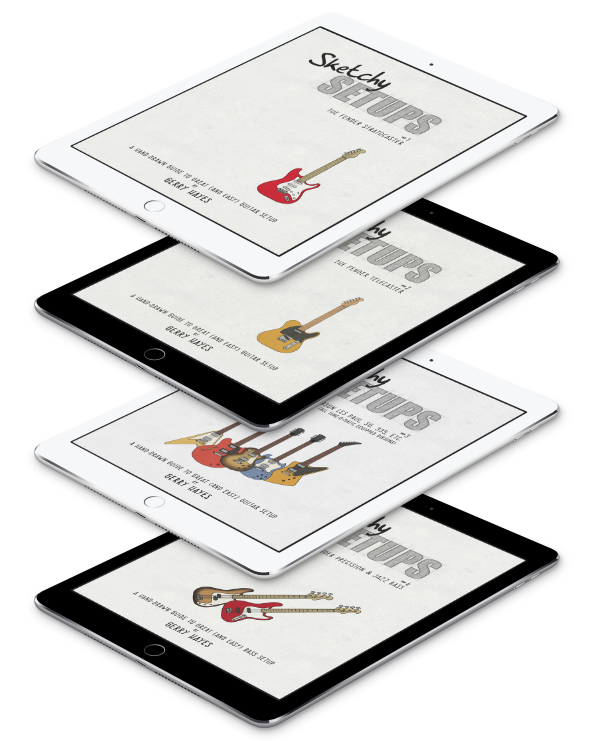 It will happily shove the signal from your guitar or bass into your iPhone and will even deal with line level signals from keyboards, synths or even mixers. Versatile. Likewise, the output – it can be output to your headphones, an amp, speakers or a mixer. More info over at IK Multimedia.